“The business professionals I was able to interact with throughout the week provided me with insight into various industries and their experiences, which gave me a new perspective on where I’d like to see myself in 10 years,” said sophomore Shania Smith. 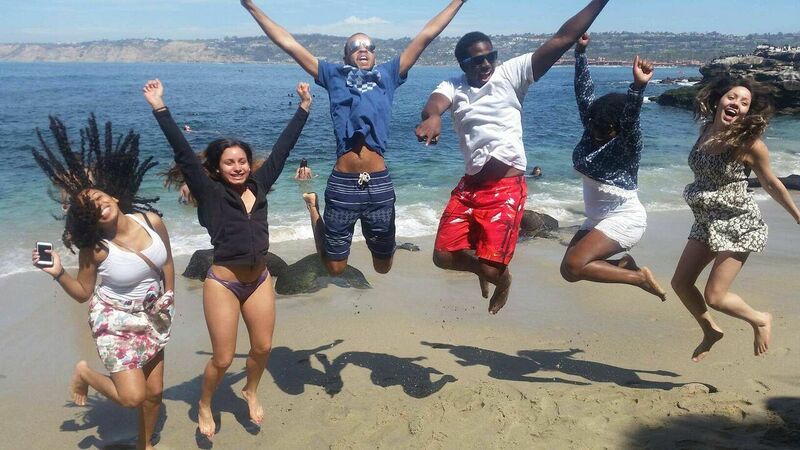 The annual spring cultural immersion trip has become a highlight of the BRIDGE program, a learning community and support network created in 2012 to support high-achieving underrepresented students as they develop into leaders. The trip allows students to learn and network while visiting popular cultural institutions and even participating in community service. 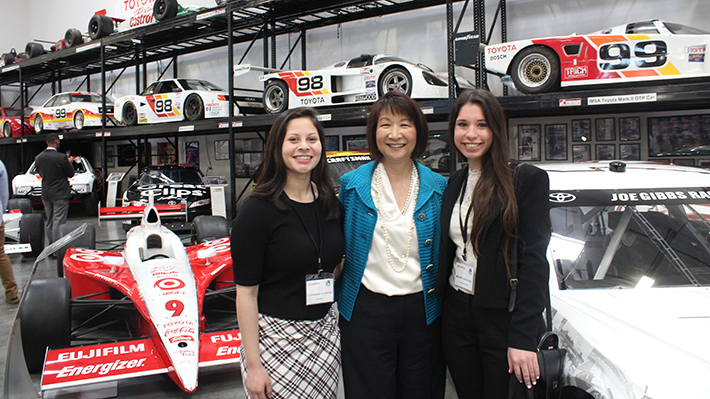 This year’s trip began in Los Angeles where students met top executives from Toyota for a breakfast panel discussion. The panel included CFO Tracey Doi, who coordinated the visit, Senior Financial Analyst Steve Park and Senior Manager for Multicultural, Brand and Crossline Strategy Mia Phillips. After each panelist shared their career journeys and advice on finding the right job, participants had the opportunity to explore the extensive collection of cars in the company’s historic automobile museum. Not wanting to miss the Hollywood experience, they visited the Walk of Fame and Paramount Studios, where they met Earl Lestz ‘61, who spent over 20 years as president of operations at Paramount. A tour of the studio grounds showed the impact of his hard work and dedication, which reflected the advice he gave students. The busy day in Los Angeles concluded with dinner with another Drexel alum, Richelle Parham ’91, former CMO of eBay. Students talked one-on-one with her about their career goals, and she offered advice that reflected much of what had been said throughout the day. Freshman Melisa Czeplowodzki took Parham’s advice about hard work to heart. When the trip moved on to San Diego, students engaged in community service at the San Diego Food Bank, and then joined Lenny Comma ‘92, CEO of Jack in the Box, at the company’s headquarters. They toured the space, met staff from all areas of the company and even got to try a new menu item in the research and development kitchen. At the end of the day, Comma invited the students to his home for dinner. For many students, this was the highlight of the trip. They were able to talk with representatives from the company’s IT, marketing, operations and supply management departments along with Comma, covering a wide range of professional and personal topics. On the final day of the trip, the students visited the Johnson & Johnson Innovation Labs and shared dinner with alumni Mark Gleiberman ‘79, MG Properties Group CEO. While students enjoyed the opportunity to relax and visit various tourist attractions in Los Angeles and San Diego, the time spent with alumni and business leaders was the star of the trip. For junior Cayla Riggs, on her second BRIDGE spring break trip, authenticity was a theme that was repeated with each executive they met. For spring break 2018, BRIDGE learning community students headed to Dallas to visit headquarters for Toyota North America, JP Morgan, JC Penney and others.